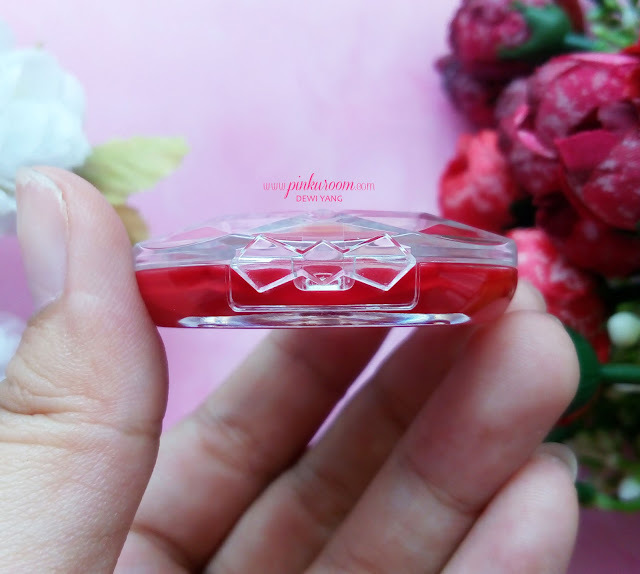 The packaging is made from clear plastic with diamond shape cutting on the edge and there’s a small bow on the lid that very cute. 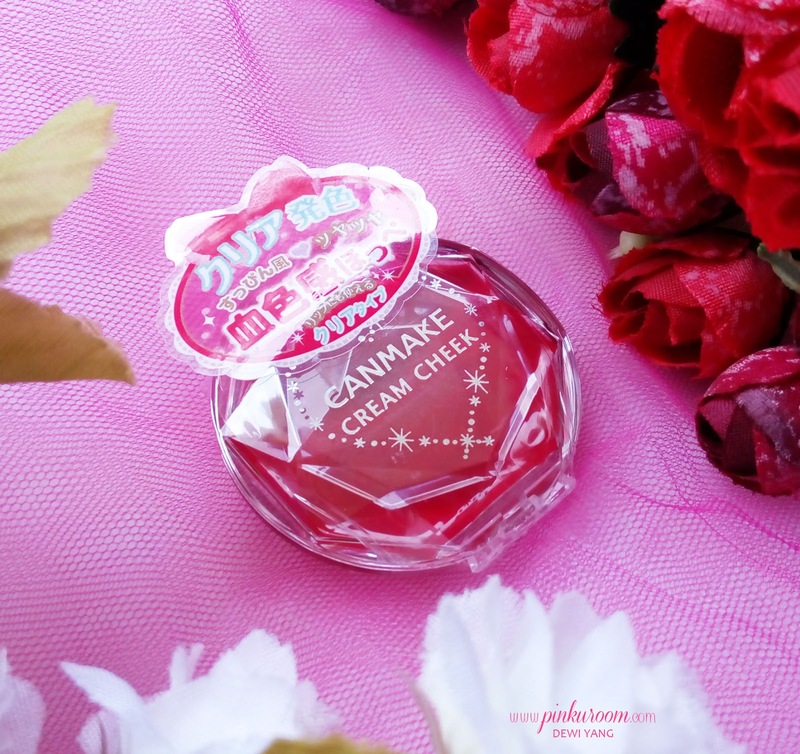 I feel like Canmake is one of Japanese brands that carry a good quality products with cute packaging and affordable price. 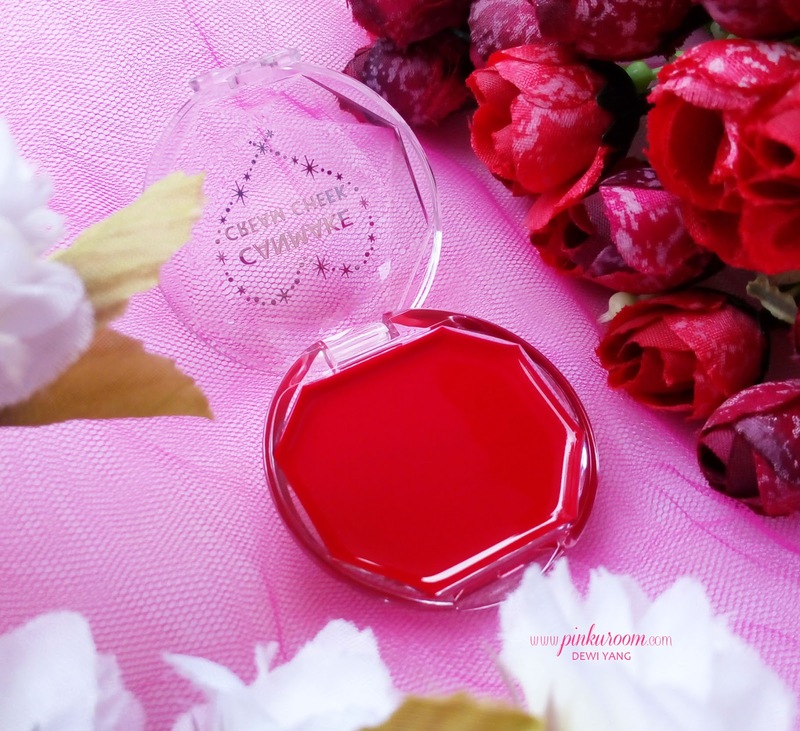 How can they make this simple cream cheek blush into a must-have product in your makeup pouch?! 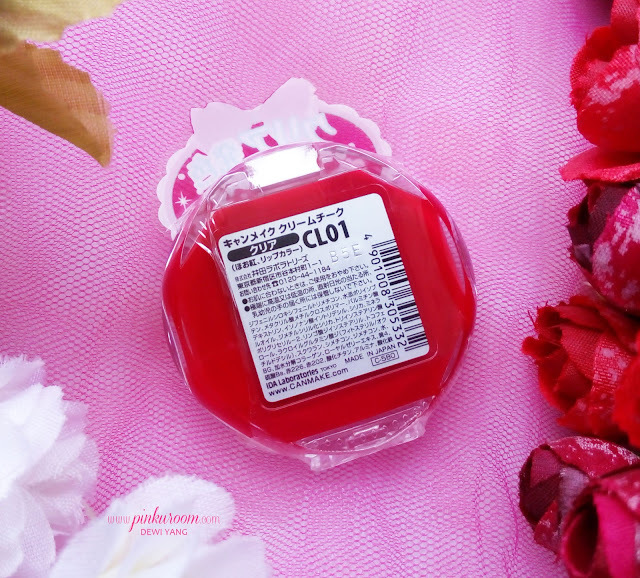 I got Canmake Cream Cheek in shade CL01 Clear Red with bright red color. I rarely using this cream cheek before but I need a blush with small sized to carry in my small makeup pouch so I always bring this one. I apply Canmake Cream Cheek not with my bare finger but with a tissue! It gives the same result and I still can adjust the amount of the product. If I bring my BB or CC cushion along with me I will use the cushion pad to apply this cream cheek. The texture is creamy and blend easily on cheeks. Not heavy at all and it gives you dewy finish, makes your skin looks glowing. 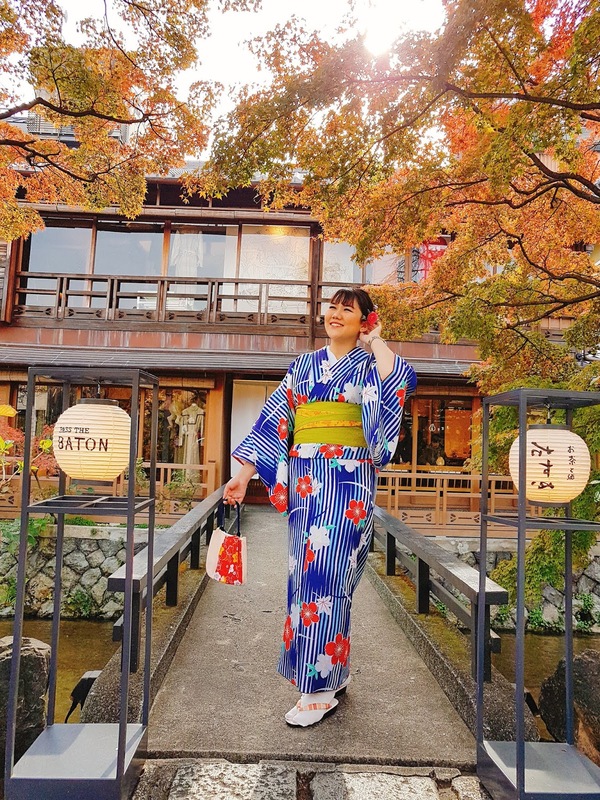 At first I thought this red color is too bold for me but when I blend it on my cheeks it looks very natural, like your cheeks blushing from the inside. 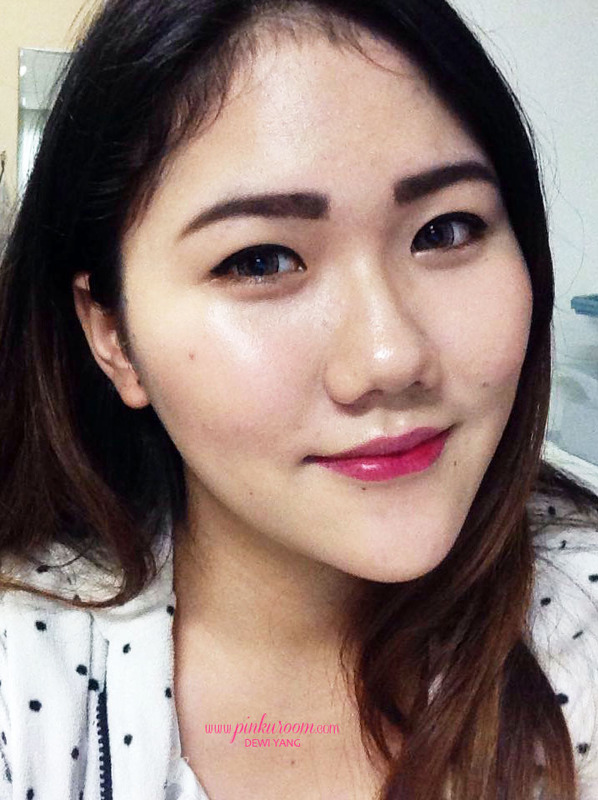 Now I want to get the other shade of Canmake Cream Cheek haha. 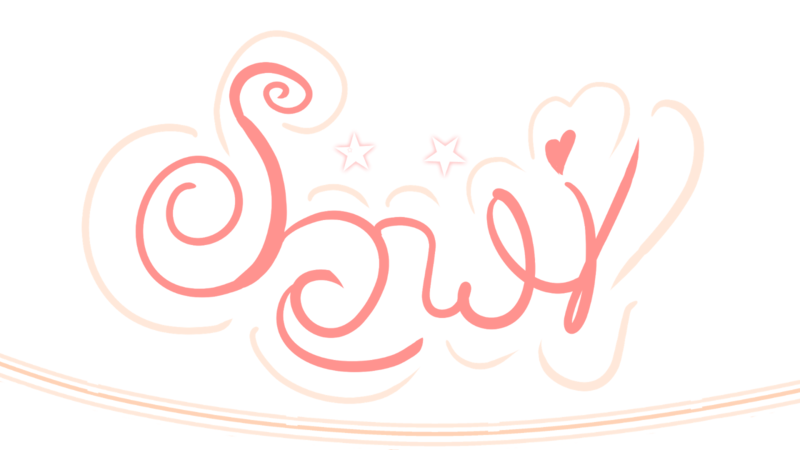 I think the pink color will turns out very cute on people with light to medium skin tone. Also I would like to try their powder blush, the one with flowes patterns. Cari Sandal Buat Pria..?? Disini Jual Sandal Selop Pria Loh..! !